Dons boss Robbie Neilson said he was happy with the way pre-season has gone for his side, but admitted he just wants the season to start. 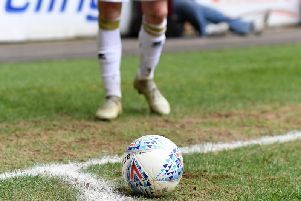 Dons finished their pre-season campaign with a 0-0 draw with Leicester City at Stadium MK on Friday night in an impressive display, ending the run of four consecutive defeats. But now with a week before their first League 1 clash against Wigan Athletic next Saturday, Neilson says the mark of a good pre-season campaign will be how his side fare in the league. "It has been good in that the lads have worked hard," he said. "We haven't had many injuries, the players have tactically done what we want them to do but the proof will be in the pudding. There's no point talking about it, until we can walk the walk. "It has been a long time since we've played a competitive game and the boys are desperate to do it. If I had it my way, we'd just come in and play competitively from the start and get going. If we can do a lot of what we did tonight then we're going to have a good season. "The way we brought the games in, the way we've increased the levels of the teams we've been playing has helped us. "There were some aspects of the game where we did really well, there are areas we need to improve as well, but as I said to the players - it doesn't mean anything. It won't have any bearing on how we do in the league. It's now all about next Saturday against Wigan. "We have gradually built through the pre-season to try and get to the first game. The fitness levels are improving. It'll be four or five games into the season when the real fitness get to their maximum so we still have a lot of work to do." Four of Neilson's eight summer signings played against the Foxes, including Thursday's capture Aaron Tshibola, who signed on-loan from Aston Villa. And Neilson praised the 22-year-old, saying: "I was really pleased with him, and he showed the class he has. The way he dealt with the ball, the way he moved forwards - he brought everything that we wanted from him. It's important for him to continue to do that."